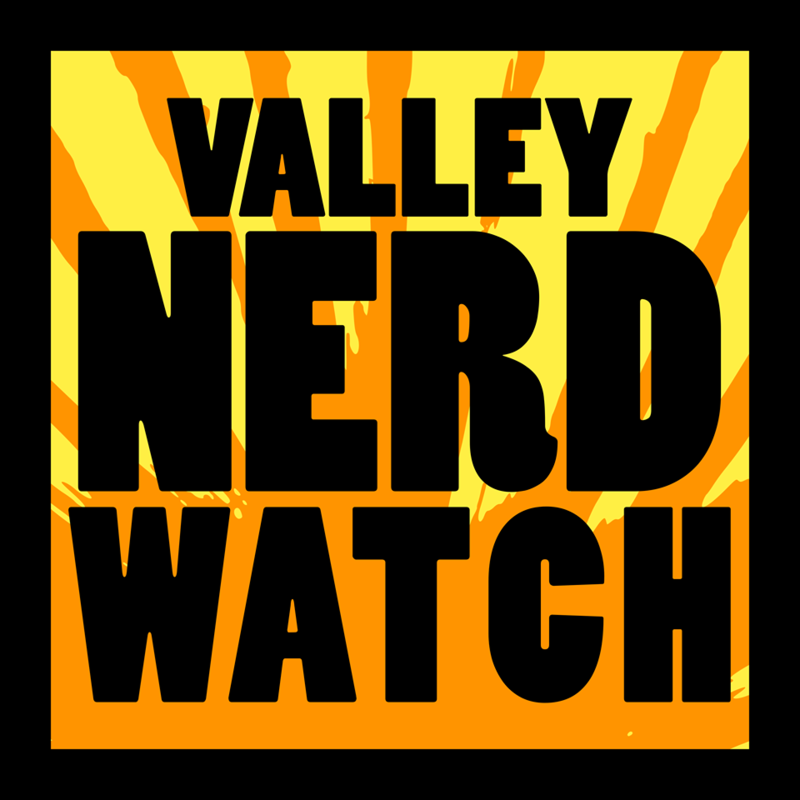 The big news this week: Nerd Nite! The greatest Nite of the month! This time it’ll feature Jordana Starr of Beerology and Christian Reader of Comics N’ More! It’s going to be fun and you’ll have a chance to buy fresh-baked cookies that are specially designed to be the best ones possible by us! All cookie cash goes straight to the spectacular Northampton Survival Center! And spend as much time as you can at Modern Myths, because they’re great and it’s going to be really sad when they shut down at the end of May. Warrior Writers Workshop, facilitated by Eric Wasileski, meets monthly on the second Tuesdays. Learn how to write better in the company of friends! Zines! Zines! Zines! Zines! Zines! Zines! Zines! Zines! Zines! ZZZZZIIIIIIIIIINNNNNES! Claire Dacey is an award-winning folk singer/songwriter and instrumentalist who’ll perform two sets, one at 6pm and one at 7pm. Donations will benefit local organizations that aid those in need! Help folks and hear nice music, who could ask for more? Hands on art making from 4pm-7pm! Make beautiful block prints drawn from real flowers and leaves from the Smith College Botanic Garden and inspired by FLOWERING STARS: Prints by Dwight Pogue! You can also get a guided tour starting at 6pm and some free refreshments! Go hang out in your great local museum! On four Northampton Arts Nights Out this spring, photographer Pamela Petro and poet Naila Moreira will present an art exhibit, Dusk at Macleish, of seven ecological graphic poems. Their work, in word and image digital presentation, will be projected on a triptych of screens. It’ll be neat and you’ll like it so check it out! Meet up and play some board games with friendly people! They tend to like the Euro stuff but feel free to bring whatever you think will be fun. We highly recommend checking Azul, we’ve played it a few times and it’s a lot of fun. Kind of like competitive solitaire, but with nice colored tiles. A new collection of stories from Brock Clarke, author of seven fiction books and winner of a bunch of prizes including the Mary McCarthy Prize for Fiction. His stories cover child actors, PTSD, marital discord, and contemporary racial attitudes. Hear him in conversation with Jeff Parker, who’s also probably pretty nice! A long-running author reading series presents Science Fiction and Fantasy authors Jane Yolen, ‘The Pit Dragon Chronicles’, Elizabeth Bear, ‘The Stone in the Skull’, and Robert V.S. Redick, ‘Master Assassins’. Join author Norton Juster and illustrator Jules Feiffer as they discuss the fantastic book The Phantom Tollbooth! Learn about how it came to be and what came after, moderated by children’s book author Kate Feiffer. Signed books are available following the program, in case you like the books that the people you’re seeing write and illustrate which is a pretty decent possibility! King of Pop Release Party! Locals making comics! good comics about oddball assassins born from a love of D-List movies, snacks, and homemade comics! We’ve got it on good authority that this is “gunna be sweet”. Get ready to get excited by a neat new comic from Valley Creators! Learn about racial justice, and help out your community! The monthly meeting of the League! A teach-in about Social Justice! In what might be the most for-specifically-us Nerd Nite yet we’re going to have Christian Reader from the excellent Easthampton comic shop Comics N’ More here to speak about why comics are for everybody and Jordana Starr of Beerology in Northampton is going to talk to us about brewing! And you’ll be able to buy drinks and hey why not read a comic during intermission? The perfect night! Also as always we’ll have Home-made Freshly-baked Delicious Cookies on hand to raise money for the Northampton Survival Center! Wingmasters: Birds of Prey- Julie Collier of Wingmasters, along with some of her feathered friends will explain five basic categories of raptors that include eagles, hawks, owls and falcons and discuss many aspects of each. Five live birds will accompany her. Bring six live birds if you want to have a chance at defeating her Raptor Force! Do you have trouble with clutter? Figure out how to make it less troublesome with this class! Anime is an art form that we have scattered experience with but a lot of people wicked like. We just started watching the Netflix one “Children of the Whales” and it seems pretty neat and neatly pretty so far, though quite sad! Baroque music for the whole family! A bunch of classical hits and covers played by excellent musicians. The doctor is in! Which doctor? Who knows! Anyway watch Doctor Who with some nice folks and then chat about it! Have you been to Enfield, Prescott, Dana, or Greenwich recently? Probably not! They’re underwater now! They were cleared out so that there could be a massive reservoir for the City of Boston! That’s so wild! They got rid of whole towns and then made one of the largest bodies of water in Massachusetts! Learn more about this wild historical event from local history-knower J.R. Greene! Science! Technology! Engineering! Art! Mathematics! By their powers combined, they are activities that kids can do to learn things! Crafts for kids! It’s a good time. Teens! Make buttons, hang out, read, make other stuff, play games, basically do a bunch of things at the library because the library is a genuinely fun place for teens! This time, do it on the most wild night at the library: Thursday! Teens and only teens: you must come design and press some buttons! It’s a good way to make a button for yourself or another! Nathan’s back! Back to undulate your children to Story Town! Back to defy all known natural sciences with his enormity and literacy! Experience Nathan, the most gigantic worm that can speak! Stories, crafts, and crafty stories for kids! Jason is either a cat or a lion, which is just a much bigger cat. Do not bring your children unless they’re not allergic to cats or they are able to fight off a lion. Everyone should be able to fight off a lion by the age of around 4. Crafts, stories, and storied crafts for kids! Teens! Lounge about with other teens at the old library down the road! This one’s actually just a bunch of monolithic structures strewn across a ruined plain stretching toward infinity and pulsing with horrible strength, but for kids. Nah it’s a craft/story time again! A movie of some sort. We’re going to say… that one from the 1910s where a horse runs! This film profiles a writer, publisher and bookseller as a major force in resistance to government clampdowns on free speech. The poet and artist Lawrence Ferlinghetti—since 1950– has been a radical resister to censorship of ideas both by writing his own poetry, publishing poetry of other radical resisters like Allen Ginsburg (Howl! ), and selling their work. A movie! We’re going to say… it’s actually the next 19 Avatar films. Boston bagel maker Larry Baras wanted to create a pro baseball league in Israel. He was met with incredulity and even hostility, but he tried it anyway! He got a bunch of delightful folks including a 41 year-old father of three, and a 27 year-old Brooklyn artist and DJ who was still finding himself after the disappointment of not being drafted out of college, and a bunch of other nice people! Students $4, Members $6, General Admission $8! A new year, new staff, new stories, possibly vampires? Vampires in the title image for this thing so probably vampires. Lots more info at Magestry.com, but the basics are: come hang out for a weekend playing an RPG! You can come as an NPC to get free stuff, even! The second day of the Magestry Spring Event! The third and final day of the Magestry Spring Event! Why’s it so hard to talk about Climate Change with folks from across the proverbial aisle? It can feel futile, but there are some psychological and social factors influencing how we discuss and make decisions about politicized topics that it can help to understand! It’s worthwhile to figure out how to communicate something this important! Jim Barry is the Western Mass Regional Coordinator for the Department of Energy Resources, Green Communities Division. That means he’s basically your one-stop source for information related to conservation and renewable energy! He’ll talk about Municipal Electricity Aggregation, What’s Coming After SRECs, Renewable Heating Systems, Electric Vehicles, the Solarize Program, and more! Bring your questions and find out that with Jim’s Help it IS easy being green! That’s his joke and he deserves the credit because it’s excellent. Free admission to a talk about the best type of birds, the ones that sing pretty songs! And also the worst type of birds, the ones that sing pretty songs early in the morning. You’ll also be able to buy perennials for edible landscaping and to attract birds, butterflies, and other good animals! Make your garden useful and beautiful!